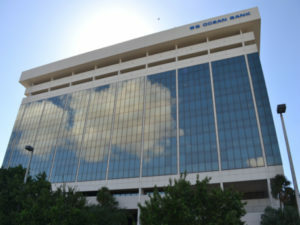 Virtual Office Miami Coral Gables II is located right off Le Jeune Rd, close to US 1 and in walking distance to the famous Miracle Mile. Parking is located right adjacent and validated for short visits. While an older building, many professionals prefer the conservative setting with plenty of office space over multiple floors, as well as the generous amount of meeting rooms. The Executive Office Suites in this Coral Gables location allows for a larger size and affordable pricing. Whether you want to start in a physical office space or choose the virtual office setup, you will be well served with our trained staff on side. A monthly Virtual Office subscription agreement is required in order to utilize our meeting rooms. Add-on’s like the live phone answering services or virtual assistant services are at your disposal. You may choose to use them as needed and only pay for the Virtual Assistant’s time spent for your task, but never have to deal with employee related cost and management. To visit the Virtual Office Miami Coral Gables II location you may contact us to schedule a tour with one of our managers on site. Once you make a decision the sign-up process is easily being done online. We cannot process applications at the facility, virtual office services are completely processed digitally.